Love, protection, sexual potency, and cleansing. 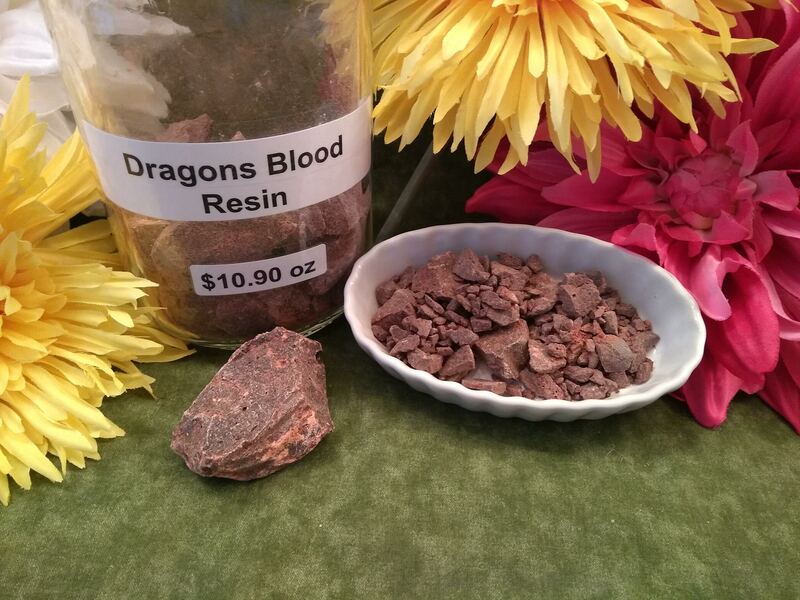 Dragons Blood is a thick red resin that forms from the berries of a tropical palm tree known as daemonorops draco. The fruit of these Asian palms trees is covered in scales from which a bright red shiny resin seeps out- which looks a bit like blood coming from a cut or a scaly dragons hide. As it seeps out, it’s traditionally collected, cleansed and then melted down to form a hard chunk of resin. Dragons blood has been used for thousands of years in India as part of ritual. It is also mixed with frankincense in some Orthodox Church incense recipes. 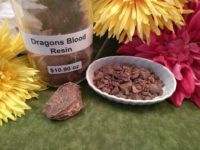 When burnt, Dragons Blood creates a strong herbal and spicy fragrance. Assorted chunks that are easily broken up in a bag with a hammer, and can be ground in a mortar and pestle to form fine powder. Priced per ounce.